Theresa May will resign as United Kingdom's Prime if her Brexit deal is passed in British Parliament, a lawmaker of her party has said. The British Prime Minister made the remark while meeting her own MPs on Wednesday afternoon. 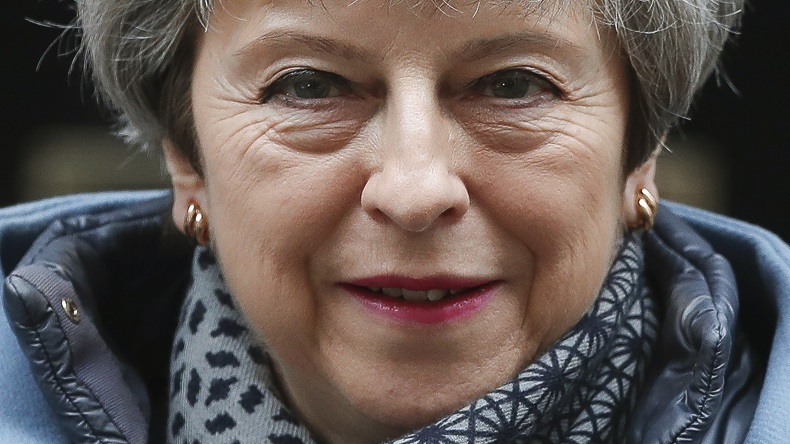 Brexit deal: Theresa May will resign as United Kingdom’s Prime Minister if her Brexit deal is passed in Parliament, a lawmaker of her party has said. The British Prime Minister made the remark while meeting her own MPs on Wednesday afternoon. Theresa May’s Europen Union divorce deal has been defeated twice in the past by embarrassingly high margins. May’s announcement is being seen as her last-ditch attempt to persuade rebels in her Conservative party to back her. However, May is yet to announce a date for her resignation but she will certainly go, reports said. But rebels in her party have refused to support her deal because they want a cleaner break. On June 23, 2016, a historic referendum was held in the United Kingdom with two options whether to leave or remain in 29-member European Union. A total of 51.9 percent voters supported the UK’s exit while 48.1 percent voted to be a part of the EU. A turnout of 71.8 percent was recorded with more than 3 crore people participating in the referendum. Among the four constituents of the UK, a percentage of 53.4 supported Brexit and 46.6 percent voted against it in England. Similarly, Wales voted for UK’s exit from EU with 52.5 percent supporting the move while 47.5 percent wanted to remain in EU. The maximum people in Northern Ireland and Scotland wanted to stay in the EU. In Northern Ireland and Scotland, a total of 55.8 percent and 62 percent their ballot in favour of UK’s stay in the UK, while 44.2 percent and 38 per cent voted for Brexit.